The Supreme Court seems as closely divided as ever on an issue that has divided the nation for forty years, but the implications of Justice Scalia's death were quite apparent during oral argument in the Texas Abortion Law case. 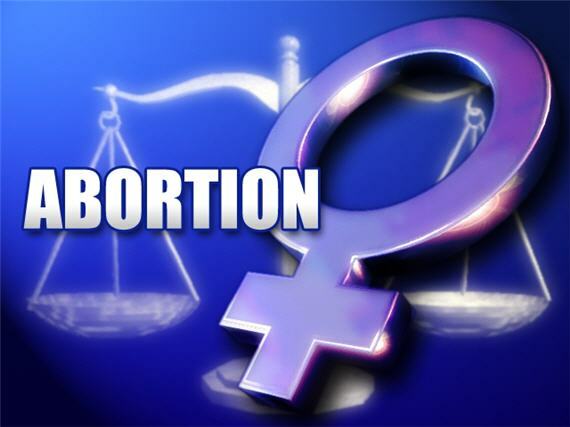 WASHINGTON — The Supreme Court on Wednesday appeared sharply and perhaps evenly divided in its first major abortion case in almost a decade, one that has the potential to revise constitutional standards and to affect millions of women. Several justices seemed frustrated by gaps in the factual record presented to them. The three more conservative justices said there was little evidence that clinics have closed or would close because of the law. Justice Anthony M. Kennedy, who almost certainly holds the crucial vote, mused that it might be useful to return the case to the lower courts to develop more evidence. He said it would help to know how many abortions could be performed in the clinics that would remain open if a restrictive Texas law was allowed to become fully effective. The court’s four liberal justices were adamant that the restrictions imposed by the law served no medical purpose and cannot pass constitutional muster. The case is one of the most consequential on the docket this term, and that was reflected by a huge, boisterous crowd that gathered on the sidewalk in front of the Supreme Court before the arguments started, filling the air with the voices of activists who were braving a stiff wind and biting cold. 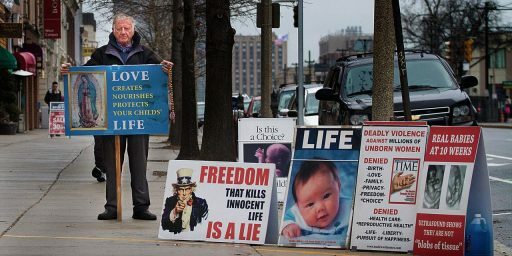 The court’s last abortion decision, in 2007 in Gonzales v. Carhart, upheld the federal Partial-Birth Abortion Ban Act, which banned a particular abortion procedure. The new case, Whole Woman’s Health v. Hellerstedt, No. 15-274, concerns a more fundamental question and may turn out to be the third installment in a legal trilogy on the scope of the constitutional right to abortion — one that started in 1973 with Roe v. Wade, which recognized a constitutional right to abortion, and continued in 1992 with Planned Parenthood v. Casey. The new case concerns two parts of a Texas law that imposes strict requirements on abortion providers. It was passed by the Republican-dominated Texas Legislature and signed into law in July 2013 by Rick Perry, the governor then. The clinics challenging the law say it has already caused about half of the state’s 41 abortion clinics to close. If the contested provisions take full effect, they say, the number of clinics would again be halved. “None is located west or south of San Antonio, a vast geographic area that is larger than California,” a brief for the clinics said. Officials in Texas said that the contested provisions were needed to protect women’s health, but abortion providers responded that the regulations were expensive, unnecessary and intended to put many of them out of business. The lower courts are divided over whether they must accept lawmakers’ assertions about the health benefits of abortion restrictions at face value or instead determine whether the assertions are backed by evidence. In June, the Fifth Circuit, in New Orleans, largely upheld the contested provisions of the Texas law, using the more deferential approach. The court ruled that the law, with minor exceptions, did not place an undue burden on the right to an abortion. 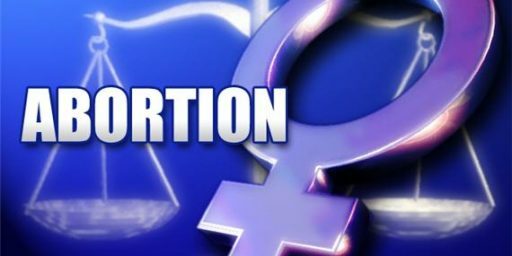 The court said women in West Texas could obtain abortions in New Mexico, a ruling in tension with one from a different panel of the same court that said Mississippi could not rely on out-of-state abortion clinics in defending a law that would have shut down the state’s only clinic. In November, the federal appeals court in Chicago used a more demanding standard in evaluating a Wisconsin law requiring abortion doctors to have admitting privileges at local hospitals. Judge Richard A. Posner, writing for the court, said the state’s justification for the law did not withstand scrutiny. Within minutes after the argument began shortly after ten o’clock, it seemed that the case might bog down in a dispute about whether the case contains any solid evidence of whether HB2 was, in fact, the cause for the sudden closing of half of all abortion clinics in the state and would cause even more to close if the Justices upheld the law’s two main clauses. The two are a requirement that all abortion doctors have a professional privilege to admit patients to a nearby hospital, and a requirement that all abortion clinics upgrade to facilities capable of performing surgery. There was even some question about whether the admitting privilege was still at issue. Kennedy’s suggestion that the case should be remanded for further evidence gathering would be one way for the Court to deal with the seeming 4-4 division that Justice Scalia’s death created on this issue, of course, but it’s not necessarily clear that this is likely to happen in this particular case. For one thing, the presumption of a 4-4 division, which would leave the lower court ruling upholding the Texas law standing but not create a precedent that, theoretically, would chip away significantly at the central holding in Roe v. Wade and its progeny. Indeed, as Ian Millhiser notes, Justice Scalia’s death appears to make it unlikely that this outcome will happen in this or any future abortion case unless a Republican is elected President in November, that Justice Kennedy sticks with the conservatives on this issue as he has in the past, and the Court gets another abortion case before there was any further change in the make-up of the Court. The other possibility, of course, is that Kennedy ends up siding with the liberal side of the court, making for a 5-3 outcome striking down the laws under what would likely be a limited ruling that relies on Roe and Casey rather than trying to break any new ground. Such a ruling would have a significant national impact, though, given the fact that several states with Republican-controlled legislatures have adopted regulations similar to those at issue in the Texas case, many of which are presently being challenged in various Federal Courts around the country. A Supreme Court ruling striking down the Texas law would, undoubtedly mean that these state laws would also be struck down. Going into Wednesday’s argument, it was already clear that the Justices disagreed deeply about the enforcement of the Texas law. The Court split five to four in last June in limiting enforcement of the law, and the line-up then was quickly evident by comments and questions from the bench by all of the Justices (except Justice Clarence Thomas, who did not say anything). On the other side, the Chief Justice and Justice Samuel A. Alito, Jr., were dogged in tough questions to Stephanie Toti of New York City, a lawyer for the Center for Reproductive Rights, speaking for the abortion clinics. Alito, in particular, tried a variety of tactics to try to shore up the law’s legality, and to question the challenge to it. As always, it is generally not a good idea to try to draw conclusions from oral argument or the questions that Justices ask during oral argument. That being said, it’s obvious that there are four Justices who would vote to strike down the law based on Roe, Casey, and the general idea that the regulations contemplated by the Texas law and others like are are more about seeking to restrict access to a legal abortion than they are about reasonable regulation of a medical procedure. On the other side, it’s equally clear that there are three Justices who would vote to uphold the law as a proper exercise of the state’s regulatory authority, and who would likely sign on to an opinion that chipped away significant at Roe and its progeny. Without Justice Scalia, though, this wing of the Court is at a distinct disadvantage in that the best they can hope for is that the lower court ruling would be upheld if Justice Kennedy joins them, which doesn’t appear to be certain by any means. Indeed, if the liberal wing of the court were willing to agree to a narrow enough holding it seems possible that there could be a 5-3 majority to strike the law down altogether, something that would significantly change the politics and the legal status of abortion in the United States. In any event, this is likely a case where we won’t learn the ultimate outcome until very near the end of the Court’s term in June. Until then, it’s all just a matter of waiting to see which side of the argument Justice Kennedy ends up siding with, or whether the Court as a whole ends up signing off on Kennedy’s suggestion that the case could be punted back to the trial court at which point it likely wouldn’t return to the Supreme Court until well after Justice Scalia’s replacement is seated, even if we have to wait for the next President for that to happen. After reading the transcript, the only question in my mind is whether Sotomayor or Kagen are the ones to state clearly that the Texas’s legislature claim that they are acting to protect women’s health is literally unbelievable. @SKI: But it was Ginsburg who absolutely destroyed the claim. On the one hand, the law’s defenders say this is critical for the health of the women, so we need these stringent requirements. On the other hand, they suggest going to New Mexico for an abortion, where the stringent requirements don’t even exist. Small government Republicans trying to use Government to impose their will on women. Because there is something in their body that doesn’t have a fully developed brain…and Republicans need those voters. It seems blindingly obvious that Texas is acting in bad faith. One would think that would count against them in court. But I guess the conservative justices, SCOTUS and lower, are happy to go along with the con. My major take away after reading the oral arguments is that SCOTUS needs two more women as justices.